Ms Kawamura joined the department in 1998 as a full-time lecturer, and served as Associate Director of Forensics through 2007. Her primary academic are of study is Performance Studies, in particular the rhetorical dimension of oral history. Ms Kawamura serves the campus community in many different capacities. She is an advisor for two student clubs, Cal Poly’s chapter of the UNICEF Club and the Cal Poly Speech Club. 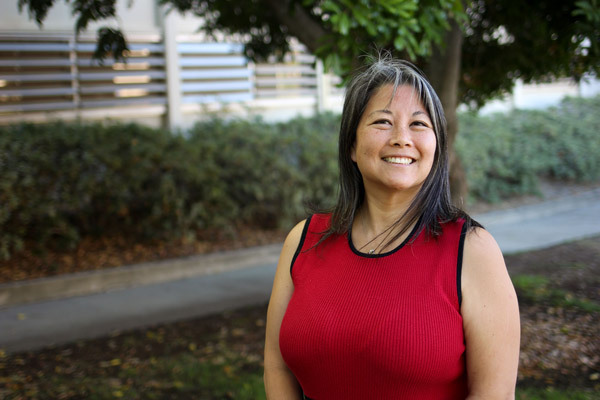 Cal Poly faculty elected her as their Lecturer Representative to the Executive Board of the California Faculty Association (CFA) and faculty and staff elected her as a Co-Chair to the Asian Pacific Islander Faculty and Staff Association. On campus, Ms Kawamura is also a BEACoN Faculty Mentor and an ally and trainer for the Undocumented Student Working Group. At the statewide level, CFA elected her as the API Caucus Chair, Southern Region and as a CFA Representative to the California Teacher’s Association. In 2017, Ms Kawamura was honored to be a finalist for Cal Poly’s President’s Diversity Award.